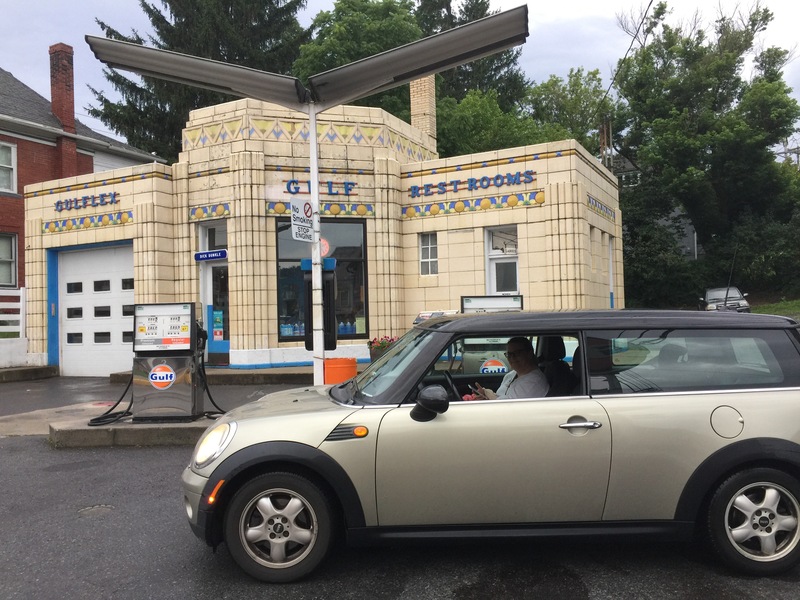 Mini Me – latest update from my cousin Keith Wallace and his Mini project. Engine in, wheels on, steering and suspension fitted. I’m recommending red body with white roof like a mid-sixties Monte Carlo rally in Cooper regalia. Tres Leches – the cream of the crop that milked the british motorcycle industry’s technology to the limit of the day. The 750cc triple cylindered motor used in the BSA A75, & Triumph T-150 & T-160. Certainly looking the part with a bank of Amal carburetors;nicely finned barrels & Head; and a useful kickstarter. Baby Blue – clear out that back couch and the micro truck had many more uses: as a work horse (or pony) the rear barn doors offered ample access to the rear space. Breakdown. 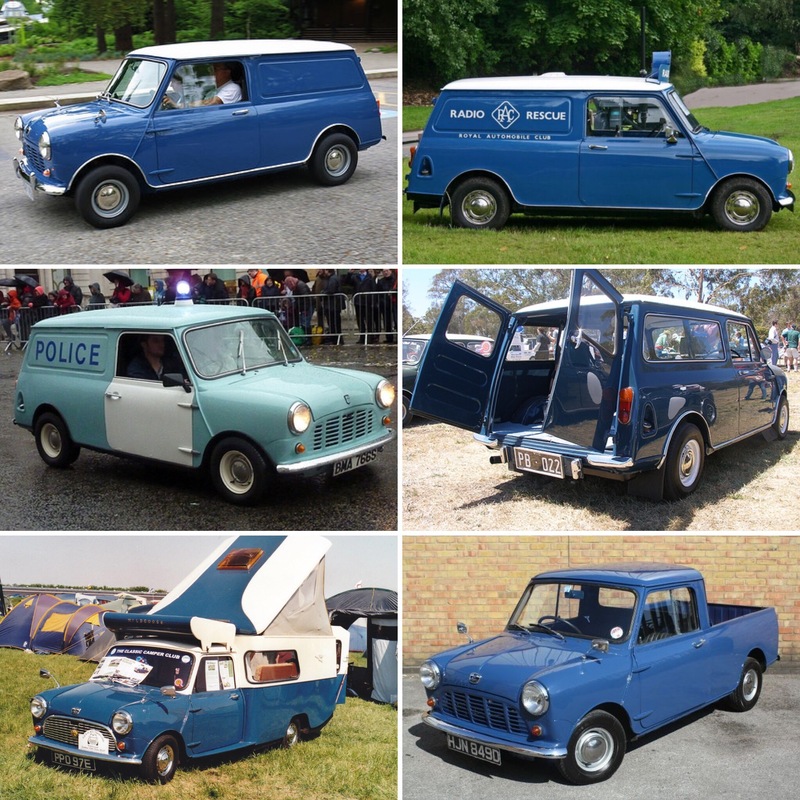 (RAC or AA), police work, workmans tote, camper van, or just plain truck. 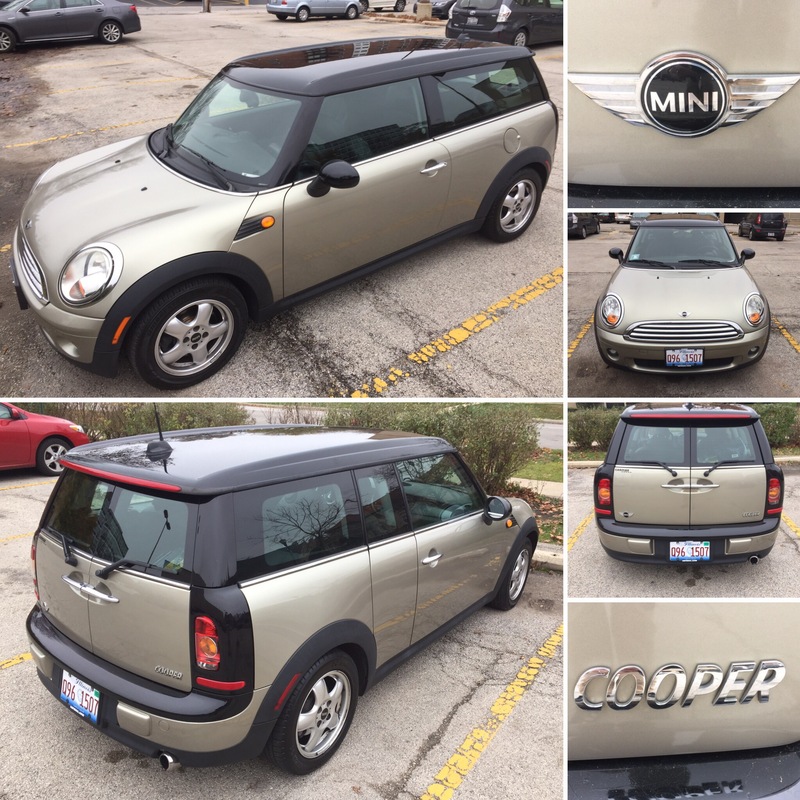 It sure was a versatile little car. Second only to the Model T in regards to adaptive use. 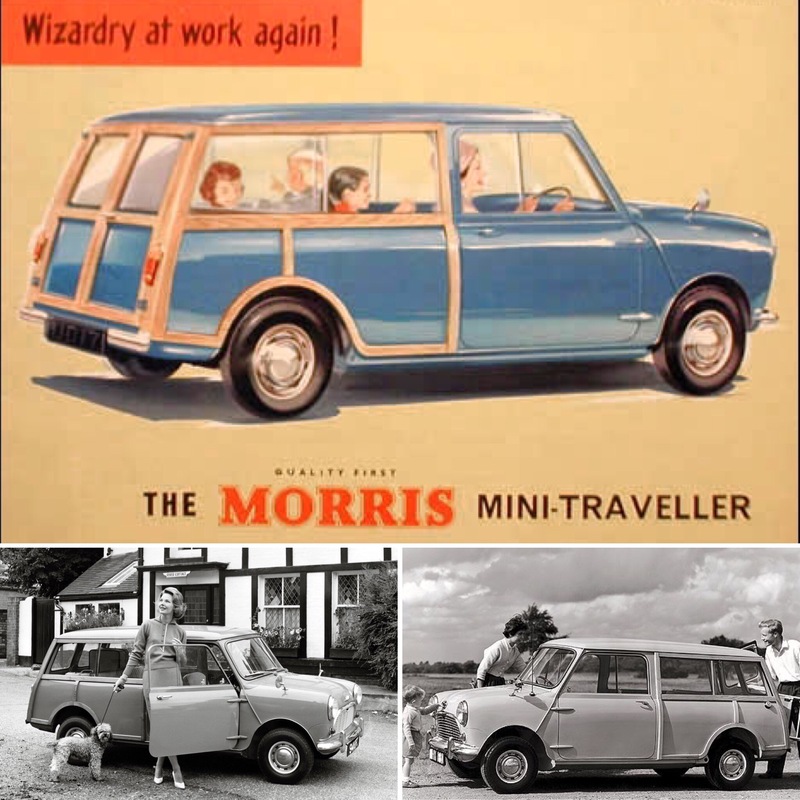 The Traveller – the original British ‘woodie’ was the longer wheelbase Mini with distinctive rear bodywork decorative trim. Also called the Countryman it was the luxury Mini for those Barbour wearing, Hunter booted rural wannabes. Well, back in the sixties there was no such things as hipsters or yuppies. But, this diminutive estate was a cool runabout. 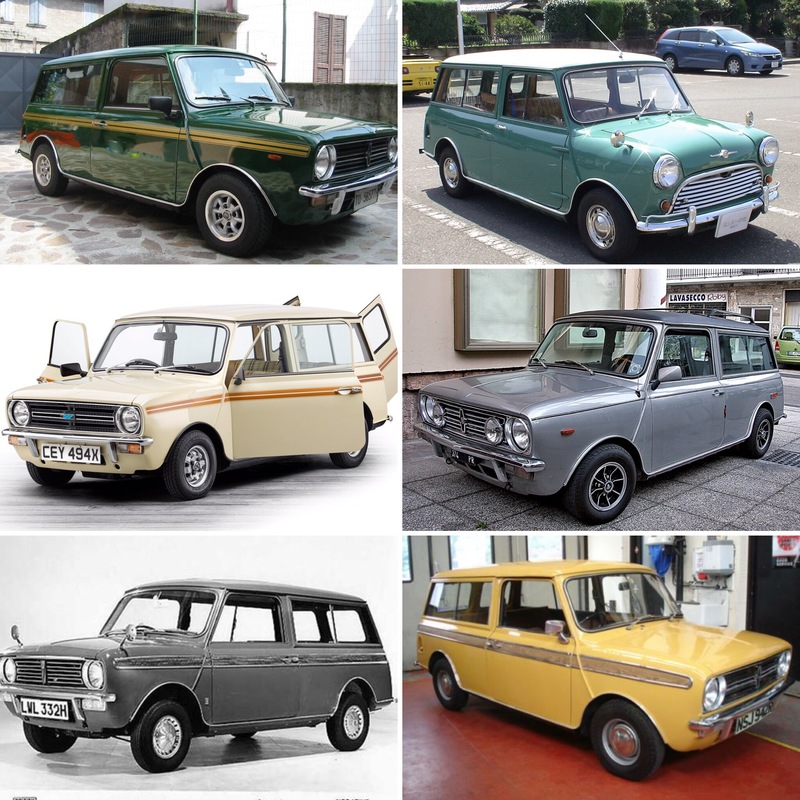 Clubman – also known in original guise as the Traveller, Estate, Austin ‘Shooting Brake’. People loved Sir Alec Issigonis’ diminutive Mini but needed a slightly larger carrier. Hence the longer wheelbase.